Fasting is not a subject that is talked about a lot in western culture. We live in a culture of indulgence, not self-denial. Fasting is all about self-denial. So writing an article on fasting scriptures doesn’t seem like something that would be profitable right? Wrong. It is a significant part of the spiritual life of the Christian. 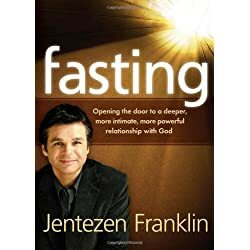 I decided to post a list of Bible verses about fasting for those that are willing to engage in a little self-denial to see the hand of God move and hear the voice of God not only for themselves but our families, communities, and churches. I pray that God will use these scriptures to read while fasting to speak to your heart and give you hunger to lay down your indulgences and desires to see more magnificent victory in your life and the life of others. Matthew 6:16″Moreover, when you fast, do not be like the hypocrites, with a sad countenance. For they disfigure their faces that they may appear to men to be fasting. Assuredly, I say to you, they have their reward. In this passage, we see that fasting would continue after Jesus was taken away. 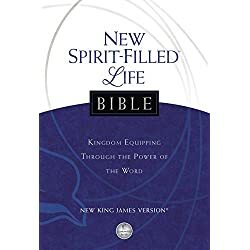 However, there is also an understanding that when that happens, fasting will take on a different or “new” approach and meaning thus the references to new and old wineskins. Instructions for when you fast. 1 “Shout with the voice of a trumpet blast.Shout aloud! Don’t be timid.Tell my people Israel of their sins!2 Yet they act so pious!They come to the Temple every dayand seem delighted to learn all about me.They act like a righteous nationthat would never abandon the laws of its God.They ask me to take action on their behalf,pretending they want to be near me.3 ‘We have fasted before you!’ they say.‘Why aren’t you impressed?We have been very hard on ourselves,and you don’t even notice it!’“I will tell you why!” I respond.“It’s because you are fasting to please yourselves.Even while you fast,you keep oppressing your workers.4 What good is fastingwhen you keep on fighting and quarreling?This kind of fastingwill never get you anywhere with me.5 You humble yourselvesby going through the motions of penance,bowing your headslike reeds bending in the wind.You dress in burlapand cover yourselves with ashes.Is this what you call fasting?Do you really think this will please the Lord ? 6 “No, this is the kind of fasting I want:Free those who are wrongly imprisoned;lighten the burden of those who work for you.Let the oppressed go free,and remove the chains that bind people.7 Share your food with the hungry,and give shelter to the homeless.Give clothes to those who need them,and do not hide from relatives who need your help.8 “Then your salvation will come like the dawn,and your wounds will quickly heal.Your godliness will lead you forward,and the glory of the Lord will protect you from behind.9 Then when you call, the Lord will answer.‘Yes, I am here,’ he will quickly reply.“Remove the heavy yoke of oppression.Stop pointing your finger and spreading vicious rumors!10 Feed the hungry,and help those in trouble.Then your light will shine out from the darkness,and the darkness around you will be as bright as noon.11 The Lord will guide you continually,giving you water when you are dryand restoring your strength.You will be like a well-watered garden,like an ever-flowing spring.12 Some of you will rebuild the deserted ruins of your cities.Then you will be known as a rebuilder of wallsand a restorer of homes. 21 And there by the Ahava Canal, I gave orders for all of us to fast and humble ourselves before our God. We prayed that he would give us a safe journey and protect us, our children, and our goods as we traveled. 22 For I was ashamed to ask the king for soldiers and horsemen 1 to accompany us and protect us from enemies along the way. After all, we had told the king, “Our God’s hand of protection is on all who worship him, but his fierce anger rages against those who abandon him.” 23 So we fasted and earnestly prayed that our God would take care of us, and he heard our prayer. One day as these men were worshiping the Lord and fasting, the Holy Spirit said, “Dedicate Barnabas and Saul for the special work to which I have called them.” So after more fasting and prayer, the men laid their hands on them and sent them on their way. As you can see by these fasting scriptures, the spiritual discipline of fasting is significant in the Christians life. And nowhere do you see it being used to try to twist God’s arm to get him to do something. It is always used to seek His face and to know His plan. 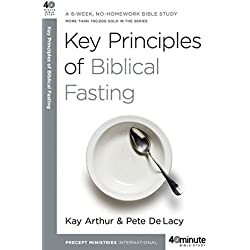 I pray that these fasting scriptures have been a blessing to you and that you will start to benefits of prayer and fasting in your daily Christian life. What are some of your favorite Bible verses about fasting? Please share them in the comment section below, and maybe we can all help one another in seeking God with greater depth by fasting.